Ninety percent of what happens in the typical lawsuit is (1) a lawyer for one side sends a letter to the other side asking for some information to prepare for a trial that will never happen, (2) the lawyer for the other side sends back a passive-aggressive letter refusing to provide that information, and (3) the lawyer for the first side sends a passive-aggressive letter to the judge saying "NO FAIR." Seriously, that&apos;s what happens. It&apos;s called "discovery," and it goes on until the lawyers&apos; bills have gotten big enough that everyone decides to settle the case. In that milieu, someone sending an aggressive-by-passive-aggressive letter qualifies as huge news, and so there is a lot of excitement over this rather tart mandamus motion that fifteen big banks filed to overturn some discovery rulings that Judge Denise Cote made in a mortgage-backed-securities lawsuit. I will not attempt to convince you that its tartness is all that interesting; I just want you to have context for why some people think it is. The case is interesting though. 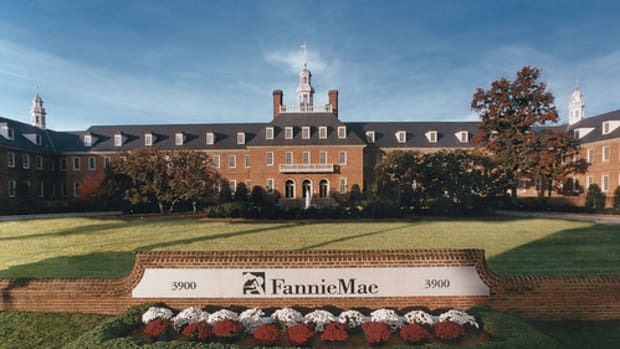 The FHFA, the regulator that oversees Fannie and Freddie, is suing the fifteen banks1 for selling crappy subprime residential mortgage-backed securities to Fannie and Freddie. Being a securities-fraud lawsuit, the basic claim is "you lied to us in the offering documents for these RMBS, and we relied on those lies, so we bought your RMBS, and then we lost money because of your lies." And the lies in the offering documents are not "these mortgages will never default!," but rather lies to the effect of "we bought these loans from originators, and reviewed those originators&apos; underwriting practices, and we believe that the originators underwrote them carefully and didn&apos;t just stuff them full of fraud." During the same period in which the GSEs’ [Fannie & Freddie&apos;s] “Private Label Securities” or “PLS” units purchased RMBS whose offering materials FHFA alleges were misstated because of a “widespread abandonment of originators’ reported underwriting guidelines,” the GSEs’ Single Family units competed with Petitioners [the banks] to purchase, securitize, and guarantee hundreds of billions of dollars’ worth of mortgage loans from the very same originators. These Single Family or other non-PLS units at times helped select the collateral backing the PLS at issue in these cases. They had first-hand knowledge about originators’ lending practices and would have been aware of any widespread abandonment of underwriting guidelines by those originators. Conversely, if the Single Family units were unaware of any “pervasive and systematic breaches” of underwriting guidelines despite their extensive dealings with originators, that fact would undermine the fundamental premise of FHFA’s claims. Roughly half of Fannie&apos;s 2008 mortgage portfolio, for instance, was whole loans on houses; the other half was RMBS. The FHFA&apos;s core accusation is that the banks looked into the originators&apos; dealings, knew they were fraudulent, and passed them on to unsuspecting Fannie and Freddie. The banks counter that Fannie and Freddie looked into the originators&apos; dealings at least as intensively as the banks did: either they found the fraud, and had no business relying on the banks&apos; offering documents, or they didn&apos;t, which suggests that it didn&apos;t exist. Petitioners served an interrogatory requesting identification of the GSE employees who participated in purchasing the relevant securities. In response, FHFA identified 42 individuals “who may have” participated in some fashion in evaluating or purchasing the more than 500 securities at issue, but refused to identify the individuals who actually read and relied on the offering documents, conducted due diligence, or authorized the purchase of any particular security. So, I mean, passive-aggressive stonewalling, sure, but don&apos;t you get the sense there&apos;s a deeper meaning here? Like maybe: no one at Fannie or Freddie read any RMBS offering documents at all ever. Their job was to wave in piles of mortgage securities, not to parse through the reps and warranties and determine whether the underwriters&apos; description of their diligence process gave them sufficient comfort in the credit quality of the underlying loans. I don&apos;t know that that means much for the case: the securities laws maintain the polite fiction that people read offering documents, if for nothing else to keep the lawyers who write those documents from confronting too directly the meaninglessness of their existence,2 so Fannie and Freddie probably can still sue over misstatements in those documents even though no one at Fannie or Freddie actually read any of them. Still it&apos;s worth keeping in mind this delightful paper finding that mortgage securitizers bet heavily on housing in their personal lives, disproportionately buying expensive homes at the peak of the bubble. The implication is that everyone involved in that bubble believed in it, even if they were simultaneously doing some shady stuff to prop it up. The FHFA&apos;s suit against the banks is a classic securities fraud case claiming that cynical fraudsters - the banks - deceived innocent victims - Fannie and Freddie. It seems more likely that all of them were deceiving themselves. 1.UBS, JPMorgan, HSBC, Barclays, DB, First Horizon, BofA and Merrill, Citi, GS, CS, Nomura, SocGen, MS, Ally, and RBS. 2.I say with love. Also, to be clear, those lawyers are different from the ones doing the discovery disputes we talked about up above. All sorts of fulfilling career paths.